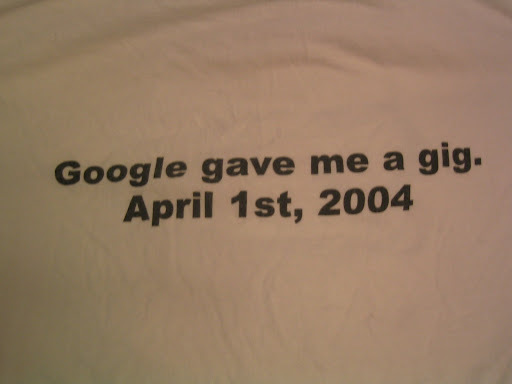 Next piece of google clothing: The Gmail launch t-shirt. A gig of webmail storage for free sent Microsoft and Yahoo scrambling to keep up. This shirt also taught me another important lesson: at tech companies and comic book stores, XL t-shirts are really XXXL (perhaps so the husky occupants feel a bit more svelte).